THE AVERAGE MAN OR WOMAN of today feels the need of God in everyday life, an idea of God so rational that it appeals to the scientific mind of the modern person and enables him to see his way clearly in a universe which is run according to law and order. We all like to feel that we can depend on certain definite principles because our minds have been trained to know and understand the necessity for such a systematic basis as a foundation for our beliefs. An intelligent thinker deeply desires a way of life which shows him how to be successful in his work, business, or profession, happily adjusted in his home and to his environment, strong and vigorous in body, and keen of mind. Above all, he seeks something which will satisfy the hunger of his inmost nature – that longing for something steadfast and secure on which he can rely. Whether or not he admits it, he yearns for an understandable, permanent, and dependable relationship with God. 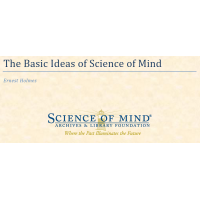 It is to meet these needs, which all mankind has in common, that this introduction to the basic ideas of Science of Mind has been written. No matter what your past or present circumstances, the application of these ideas will give you a new insight into your own inherent nature and will start you on such an intelligent, systematic, happy, and purposeful use of life that your experience will become wholesome and satisfying. You will learn the way to happiness, health, prosperity, and a more satisfactory way of living. Careful study and daily use of every suggestion given will richly repay you. No one can do your growing for you, but you can learn how to do that growing.